Civic buildings are often beautiful architecture in plain sight. Their uniformity — many rendered in classical styles — often finds them less appreciated than other forms of urban architecture. 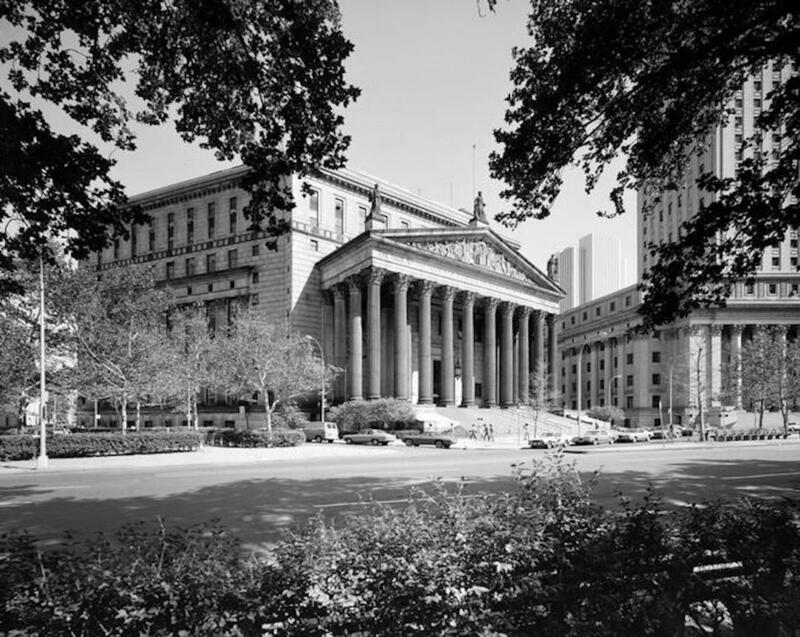 In a city like New York, skyscrapers, hotels and brownstones are more likely to get the attention of camera-wielding tourists over courthouses. After all, doesn’t every town have a courthouse? 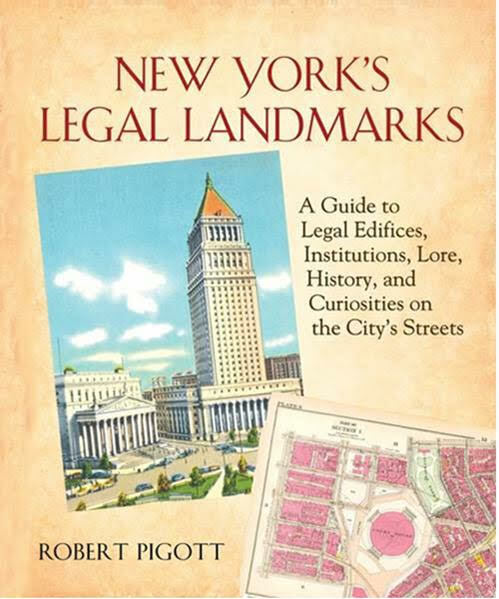 But in Robert Pigott‘s engrossing New York’s Legal Landmarks, an extraordinary world of New York’s civic architecture, past and present, comes alive. He focuses specifically on structures pertaining to legal work — courthouses, law schools, law firms, even jails — in a surprising array of architectural forms. Not every courthouse has Roman columns or cavernous atriums. In New York City, you can find legal buildings in art deco, brutalist and post-modernist styles. In many cases, they fit so well into a city block that you’re hardly aware of their existence. Here are five of my favorite details from the book which is currently available in bookstores. 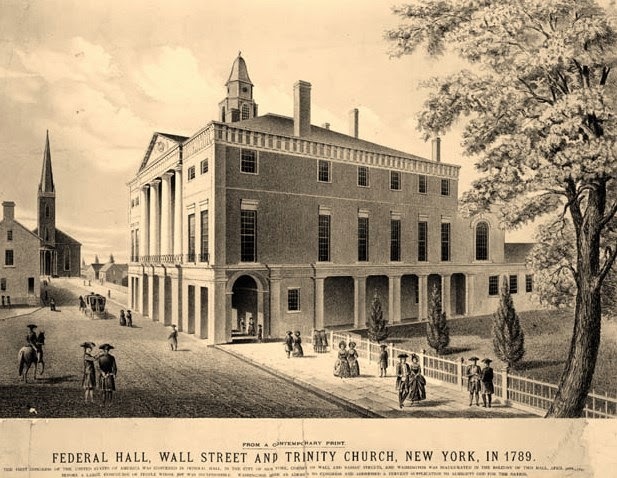 We know the building better today as Federal Hall, the place where the first Constitutional Congress first met in 1789. 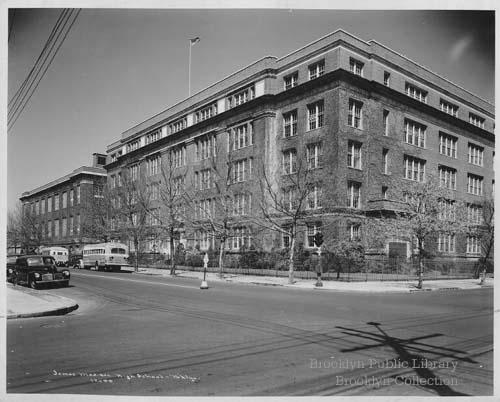 (The original building was demolished in the early 19th century replaced with this one in 1842.) 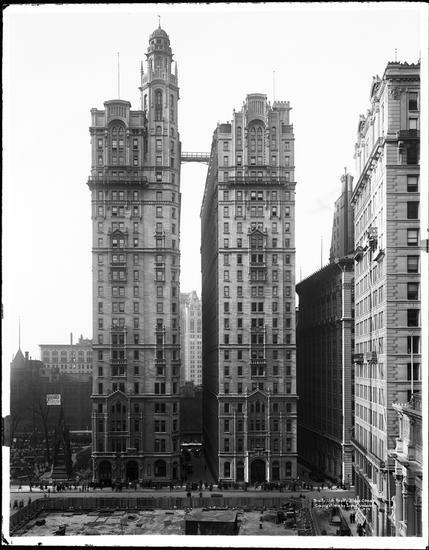 But the structure was actually New York’s City Hall as well, serving a variety of purposes — it was a very crowded building — until the current City Hall was finally opened in 1812. Linked to the Trinity Building with a tiny sky bridge, the U.S. Realty Building is a pre-zoning law skyscraper that casts a dark shadow over little Thames Street. For most of the 20th century it was the home of the Lawyer’s Club, a social club for the city’s most successful attorneys. 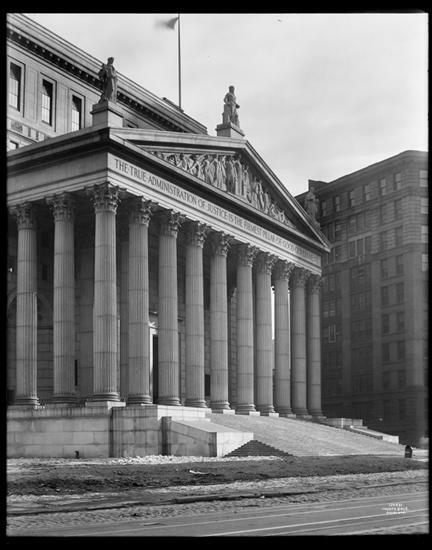 Probably the most recognizable of New York’s civic architecture, the courthouse was built to replace the extravagant Tweed Courthouse. It used to be known not only for its legal decisions, but for its cuisine! The Bronx has some truly dazzling civic architecture, but not all of it is employed in the services of the city today. 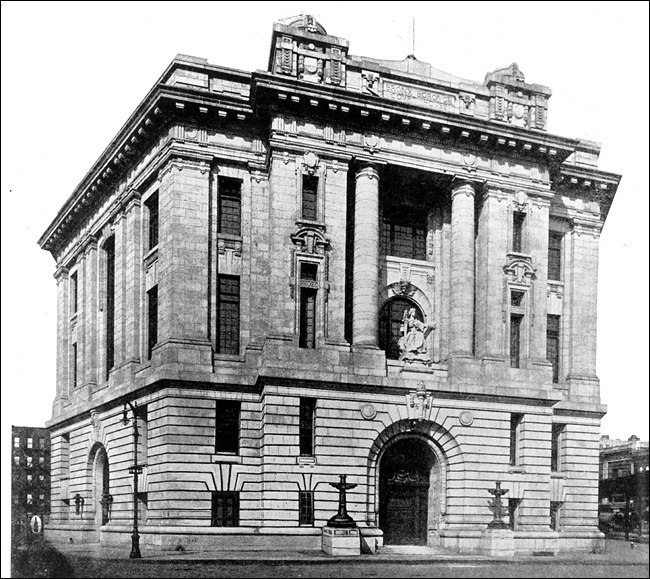 This 1915 courthouse, now a New York City landmark, was abandoned in 1977. The book also features a few notable addresses including….